Symptoms of a hearing impairment vary from mild, moderate, or severe. A mild impairment is when the person has trouble understanding speech when there is a lot of noise in the environment. Moderate deafness is when the person may require a hearing aid, while severely deaf is when they resort to lip-reading to understand others who are speaking to them. Those that are severely affected cannot hear anything, so they must use sign language to communicate. What Causes Deafness or Hearing Loss? Diseases which can cause deafness include chicken pox, meningitis, syphilis, Lyme disease, and arthritis. Conductive hearing loss is when vibrations do not pass to the inner ear, whereas sensorineural hearing loss is when the inner ear is not functioning properly and there has been damage to the hair cells of the cochlea. Mixed hearing loss is a combination of the two, and surgery may work to fix this type of hearing loss. Symptoms of hearing impairments include pain, dizziness, or ringing of the ears. Some people are born with this while others are injured due to an accident or an illness. It can also be caused by a buildup of earwax which can gradually weaken hearing over time. Signs of a baby with hearing loss is if they don’t turn their head towards noise, if they can’t speak at 12 months, if they are not startled by loud noises, or if they don’t respond to you when you call their name. For children, they may have a hearing loss if they yell when they speak or if they keep asking you to repeat yourself. How to Diagnose Deafness or Hearing Loss? To diagnose a hearing loss you must undergo a physical examination by your doctor. They will check your ear with an otoscope which has a light at the end. This can detect a blockage in the ear, a collapsed ear drum, an ear infection, or fluid in the ear. 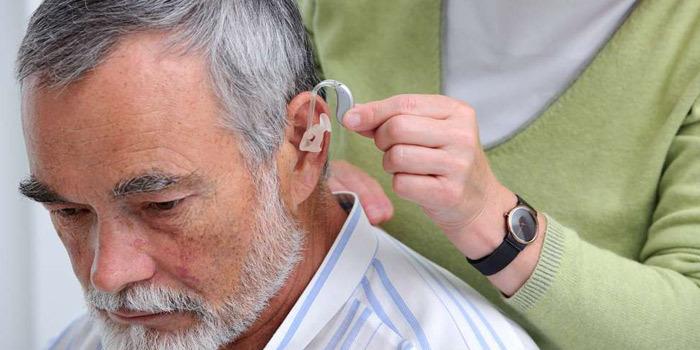 Treatments include hearing aids which help to amplify sounds. Hearing aids can be behind the ear, in the ear canal, or held against the mastoid bone. Cochlear implants can be inserted externally or internally which help those who have hair cell damage in the cochlea. This helps people enjoy music, understand speech, and use it even when swimming. To be eligible for this tax credit, a person must be impaired for over the period of one full year. They can also be eligible if they have difficulty in one of the following daily life activities. For hearing impairments the patient must be either unable to hear or it takes them 3 times longer to hear someone. How To Apply for Disability Tax Credit for Deafness?